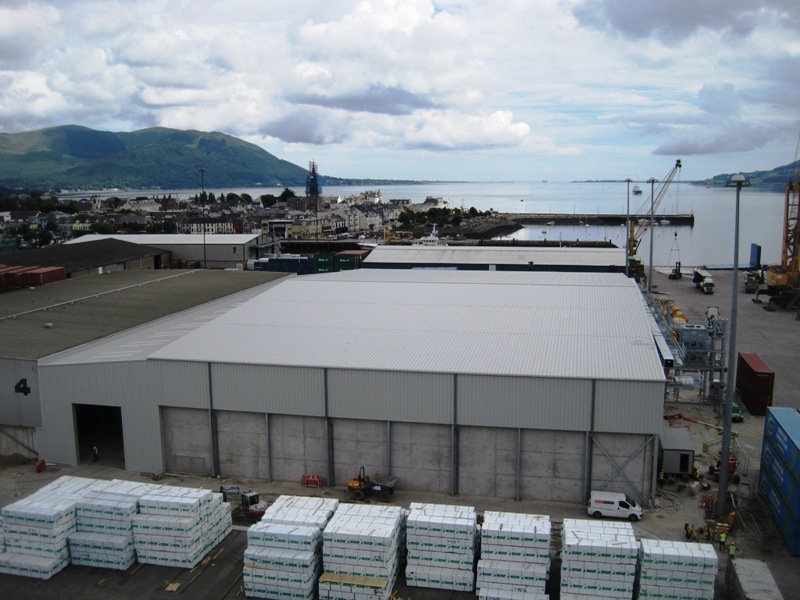 Dawson WAM Ltd were appointed by Warrenpoint Harbour Authority to Design and Construct a new 20,000ton capacity 6 bay food rated quality grain store within the active workings of the Port. The contract also entailed the design and construction of a covered loading enclosure between the new store and an existing operational store. The works involved the installation of 490Nr. 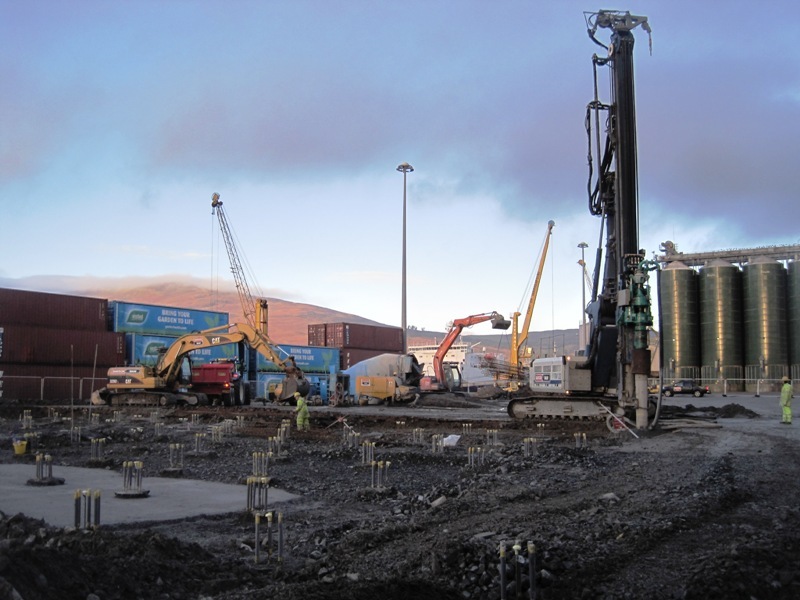 450mm dia Cased CFA bored concrete foundation piles which were installed below the base slab by DAWSON-WAM leader rig systems through varying reclaimed stratum. 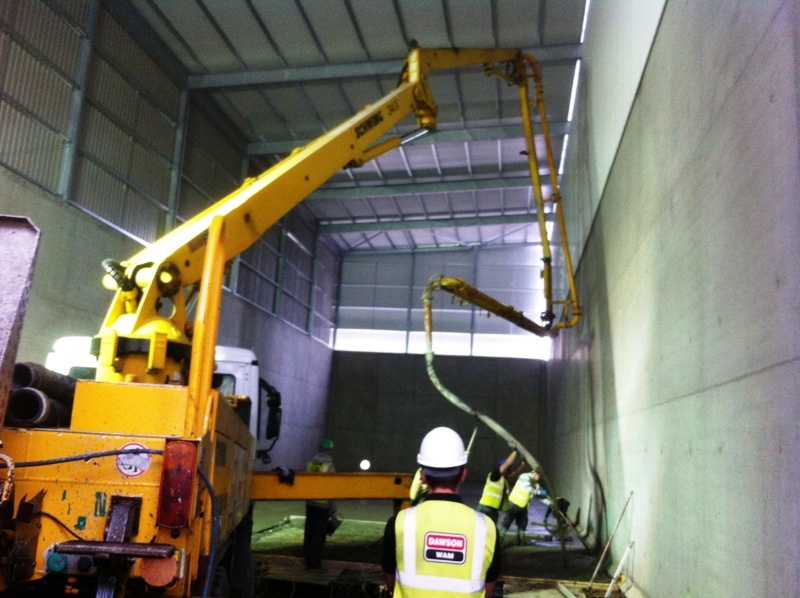 The retaining walls were constructed of reinforced concrete to a height of 7.5meters from the finished floor level. The reinforced concrete walls and floors consumed in excess of 400tonnes of steel reinforcement and 4000m3 of concrete. 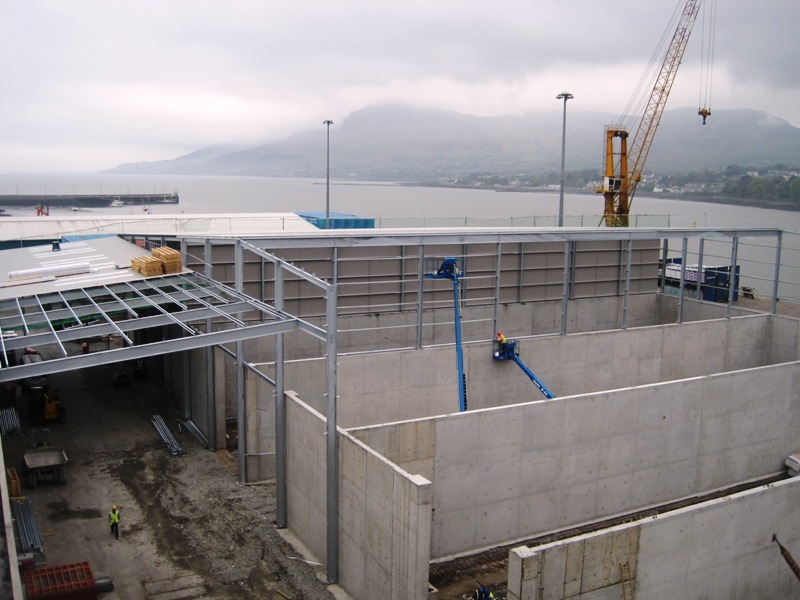 The numerous floor pours required extensive planning and liaison with the Harbour operations on a daily basis to maintain access to the adjacent existing stores and co-ordinate the works of various other sub-contracting activities on site to help achieve the contract programme. The works also involved the fabrication and erection of approx 200tonnes of galvanised structural steelwork and the fixing of over 9000m2 of cladding.